Installing an inground swimming pool is a big job. Any fool can see that. But exactly how big are we talking here? Getting a straight answer to that question can be tricky. You want to swim in your new pool as soon as possible. You want your backyard to be a construction zone for as short a time as possible. So naturally, you want to know: how long it’s going to take to build that pool? Your pool builder is the best person to answer this question. However, they also have a motive to gloss over some of the difficulties that can set a project back (especially if you haven’t hired them yet). Besides, you may not even be at the stage of talking to contractors yet. You just want some idea of what to expect! Concrete pools take the longest to install, mainly because everything has to be done onsite. The extra work, along with the need to manage an array of subcontractors, adds to the installation time. Also, after the gunite or shotcrete is applied, it has to “cure” for up to a month. During this time, a lot of the remaining work has to wait. Vinyl swimming pools can be constructed in different ways, but in general, they’re less labor-intensive than concrete pools. In fact, using preassembled components or complete pool kits, they can be built pretty quickly. You may have heard rumors of a swimming pool being installed in one day. That would be a fiberglass swimming pool. With a prefabricated shell shipped directly to your home, a fiberglass pool can be installed very quickly under the right circumstances. That said, the one-day thing is a promotional gimmick – an actual installation is sure to take longer. Again, those are just ballpark numbers. 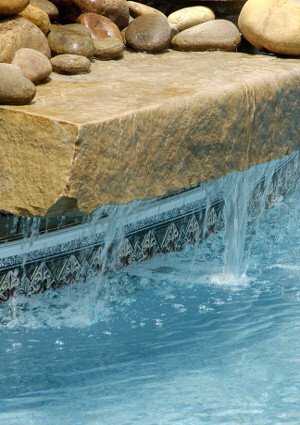 There are plenty of pool projects that fall outside of those ranges. As you might expect, in the vast majority of those cases, they go over. Before installation can even begin, you’ll need to have all required pool permits in order. This could take days, weeks, or even months, depending on the type of pool and the building regulations in your area. First off, you have to get on the pool builder’s schedule, which could be tough depending on the time of year and how busy they are. However, the project is also dependent on the availability of subcontractors, who may be playing catchup on other projects. Waterfalls and other fancy water features obviously increase the time it takes to install an inground pool. The estimates above are for “typical” inground pools. Obviously, if you’re planning something elaborate or out of the ordinary, it could take longer to receive materials and/or complete the work. Maybe you don’t have adequate pathways for heavy equipment. Maybe the ground needs to be leveled out and a retaining wall installed. In a multitude of ways, the site you choose for your pool could complicate things for your builder and add time to the project. Bad weather can sideline pool builders for days. There’s also a cascading effect, where builders and contractors get behind schedule on one project, forcing delays in the next one. Pool builders are only human – they get sick, have family emergencies, and in some cases, are just plain flaky. In the worst case scenario, the personal or business problems of your builder could lead to a project that’s stalled indefinitely. No list of this type would be complete without mentioning inspections. Obviously, not passing inspection is the big issue here, as the builder has to backtrack and make adjustments. Finally, everything is done and you’re ready to dive into your new pool – but that would be a bad decision because there’s no water in it. Filling up the pool can take a long time, especially if you’re doing it with city water. If you’re willing to spend extra, you can often speed things up by hiring a pool water delivery service. A good pool builder can give you the best estimate on how long it will take to install the inground pool you want. 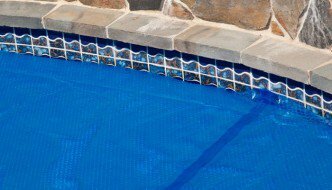 They know their own schedule, the pool regulations in your area, and any factors that could complicate installation on your property. That said, some delays are impossible to anticipate. In such cases, all you can do is remind yourself that your inground pool will be around for decades. In the scheme of things, a delay at the start – provided it’s not too long – isn’t a big deal.